“We have the right skills for the people and businesses we serve and we make significant investment in the quality of our staff and systems to ensure the service we provide develops in parallel with our growth and at the same time helps our clients grow” – Paul Capewell, Executive Magazine (May 2013). Paul Capewell and Heather Young head up our team of senior qualified accountants, trainee accountants and specialists in bookkeeping, payroll and VAT. We look forward to meeting you and working together to support you and your business. 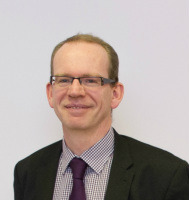 Paul qualified in 1999, and worked in practice both north and south of the border before joining A9 Accountancy in 2008. He was appointed a partner in 2010. Paul looks after a wide range of clients, and particularly enjoys helping clients with cash flow forecasts, business plans and tax planning, and performing business valuations. He also holds the Responsible Individual qualification for audit purposes, and has appeared on Newsnight Scotland and various webcasts discussing financial issues pertinent to the Highlands. Heather qualified as a Chartered Accountant in 2002 and as a Chartered Tax Adviser in 2005 whilst working for a top twenty accountancy firm in Inverness. During her thirteen years at this firm Heather became Senior Manager working in both the accounts and tax departments. Her role involved reviewing accounts and tax returns for sole traders, partnerships and companies in various industries and undertaking tax planning projects. In 2012 Heather joined a smaller firm in the Black Isle where she continued in a similar role. Heather joined A9 in June 2015 and became a partner in April 2016. Hollie joined A9 Accountancy as a Trainee Chartered Accountant in July 2014. Hollie qualified as a Chartered Accountant in October 2017 with ICAS and has experience in audit, accounts and tax. Hollie’s role involves managing a wide range of clients in various industries. This includes sole traders, partnerships, limited companies and charities. Before joining A9 Hollie graduated university with a joint degree in accountancy and mathematics. Ginny graduated from St Andrews University with a joint degree in Psychology and Management. Ginny joined A9 Accountancy as a Trainee Chartered Accountant in July 2015 and qualified as a Chartered Accountant with ICAS in October 2018. Ginny manages a diverse portfolio of clients encompassing all manner of work including accounts, tax and audit. Ginny enjoys the variety of work at A9 Accountancy including visiting clients around the Highlands and Islands.